This delightful little house is located in a splendid position on the hills that slope down from Scicli towards the sea. The house has been recently renovated, and is pleasantly furnished and well equipped. 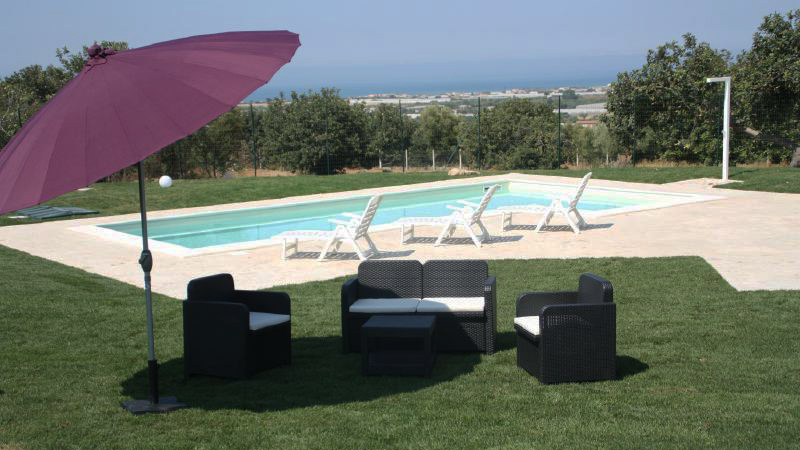 Outside, guests have a large green area at their disposal and exclusive use of the beautiful swimming pool (4 x10 m) overlooking the surrounding countryside which is dominated by Mediterranean shrub land and the typical carob trees, against the backdrop of the sea. On the spacious loggia furnished with table, chairs and barbecue, it is possible to organize pleasant open air suppers and enjoy unforgettable relaxing moments. 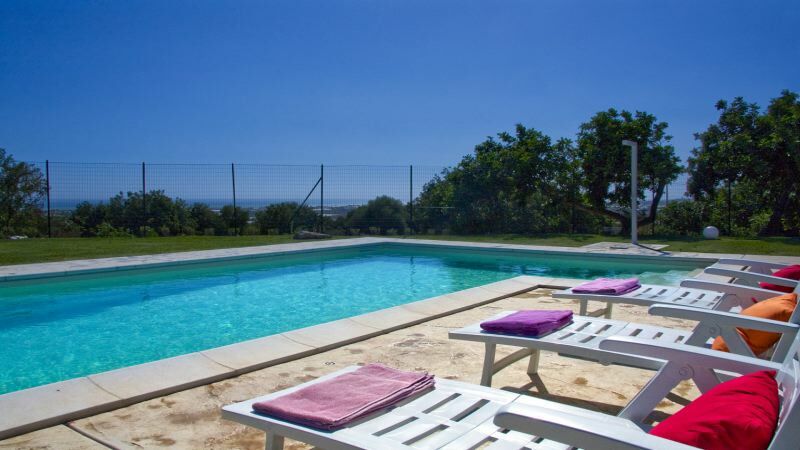 This property is ideal for anyone who loves nature and tranquility: imagine the peaceful days you will enjoy in the sunshine, by the side of your own exclusive swimming pool. In the immediate vicinity is Scicli, an ancient and atmospheric small Baroque town which is featured on the UNESCO World Heritage List. The town is filled with history and is also famous as the main set of the popular TV drama series “Inspector Montalbano”. Just as interesting are the Baroque towns of Modica, Ragusa Ibla and Noto, all of which can be easily reached by car in around 20/30 minutes. The property is just 2 km from the beach of Arizza and around 5/10 km from the beautiful beaches of Sampieri, Donnalucata and Playa Grande. Comiso and Catania airports are respectively 40 and 120 km away. Ground floor: living room + dining area + kitchenette with refrigerator and freezer, dishwasher, microwave/grill; 1 double bedroom and bathroom with shower; 1 twin bedroom and bathroom with shower; a small laundry room with washing machine. Outside, a spacious loggia furnished with table, chairs and barbecue.